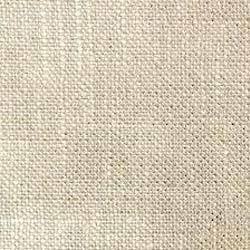 We are continuously supplying a wide range of Linen Fabric. These fabrics are procured from the trusted suppliers of the market. Our fabrics are available in diverse attractive colors and exceptional pattern. Due to best quality, decent look, perfect finish, and long life, these product ranges is highly cherished in the market. Mukut Mani Creation Pvt. Ltd. is one of the diversified industrial goal in the world. The group dates back to 1990. Jaichand Sankhala, We have mastered the craft of producing finest shirting and suiting fabric that are at par with international standard. Today Mukut Mani is one of the leading manufacturers in the textile industry. The company supplies its products to the biggest big brands and well known companies all over the world, especially in India. The company has immense goodwill in the market thanks to the excellent quality of its goods. The Fabrics are sold at value for money prices by the vast network of Dealers in India. We cater to the requirements, ranging from smallest companies to biggest brands.